Back to the Future Part II. Poster 의해 Phantom City Creative. Wallpaper and background images in the Back to the Future club tagged: back to the future back to the future part ii poster part ii. 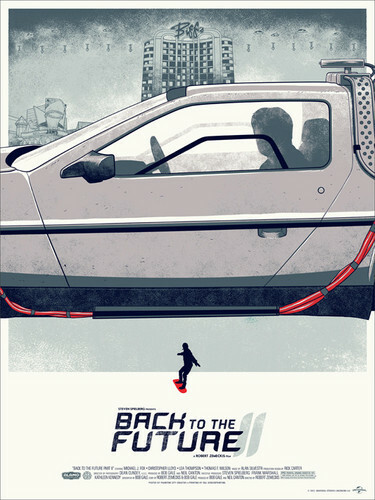 This Back to the Future fan art contains 자동차, suv, and 트럭. There might also be 스키 랙, 내연 기관, 얼음, internal combustion engine, ice, and 내부 연소 엔진.